We have access to advanced outside laboratory testing which allows us to use experts for some very specific needs. We get our samples back rather quickly and can range from setting up bacteria cultures to comprehensive thyroid panels. Our State-of-the-art, robust monitoring equipment is tried and tested for reliability and accuracy. Our equipment aids in figuring drug dose calculations, thermal readings, and of course pulse monitoring. 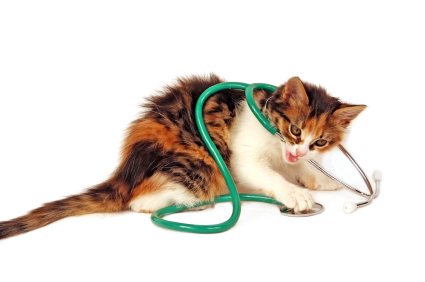 Our staff is well-trained and ready to assist your pet in finding what ails them quickly and efficiently. Gathering data on your pet’s health is crucial in evaluating the overall health and status of your unique pet. We have access to boarded specialist consultation which allows us to plant a baseline of your pet’s individual body and behaviors. Regular check-ups maintain our record of your pet which allows our veterinarians to predict potential health concerns moving forward. Check out our complete Pet Pharmacy! With having a top-notch medicinal expert team, we also have an extensive pharmacy at our disposal. We can treat all kinds of ailments including but not limited to: antibiotics, pain management, parasite control, heart disease medication, prescription diets, as well as vitamins & supplements. Pets can be difficult to ingest pills and other medications. Sometimes you can get lucky and they’ll eat it with their food, but not all medication ought to be consumed in such a manner. Some medication must be administered either with caution or with precision. Regal Animal Hospital can offer our guidance in getting your pet to take certain medications and offer alternative recommendations if they just plain refuse.